My TV is displaying a signal loss error (015, 002). What do I do? This error is usually caused by damaged cables, a misaligned dish, malfunctioning equipment, severe weather or major changes in the home (new roof, new carpeting, etc.). 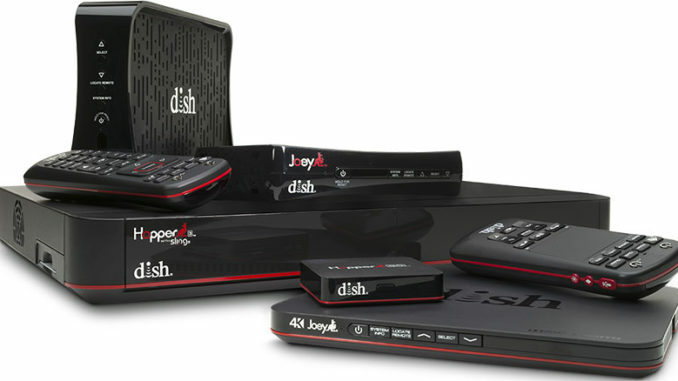 DISH’s signal is very reliable, but on rare occasions severe weather can temporarily interrupt service. If you are experiencing severe weather, please wait for it to clear. Don’t forget, however, that some content is not affected by weather — if you have a DVR, you can watch existing recordings. Plus, an internet-connected DVR will allow you to watch On Demand. If it’s not severe weather, you may want to check if anything is blocking the satellite dish outside. Check the dish to ensure it has a clear view of the sky. Objects blocking the dish’s view of the sky, such as tree branches, or things on the dish like snow buildup, can interfere with the satellite signal. If it is safe to do so, remove any obstructions. Remember, never climb a ladder or go on a roof to clear your satellite. If the problem isn’t weather related, try unplugging the power cord of your DISH receiver (which typically has a red tag) from the electrical outlet for 10 seconds, then plug it back in. If you have a Hopper and Joey system, unplug the power cord of the Hopper (larger receiver). The reset process takes up to five minutes to complete.